I write about energy and the environment Opinions expressed by Forbes Contributors are their own. 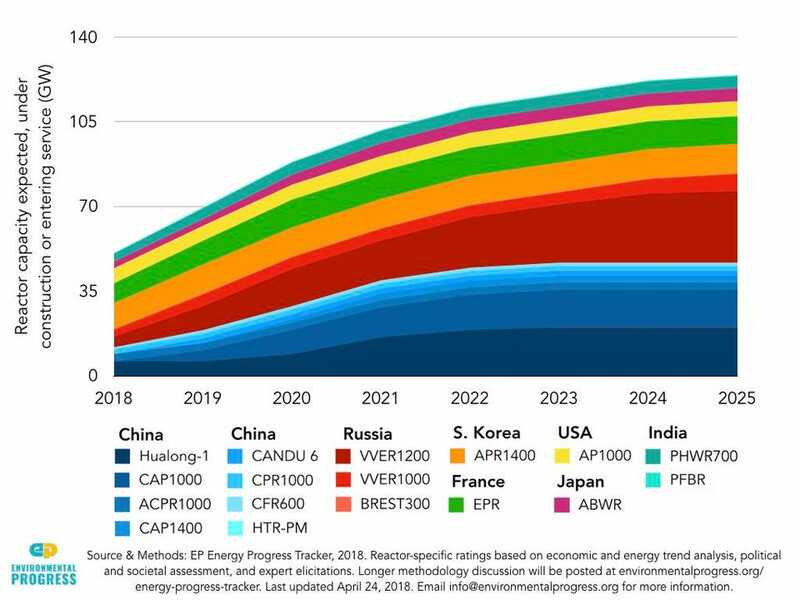 Nearly two-thirds of new nuclear power by 2025 is likely to come from just three reactor designs built by two different countries, Russia and China, a new Environmental Progress (EP) analysis finds. As such, the long-term nuclear building trend appears to be toward greater consolidation by a few, nationally-standardized pressurized-water reactors (PWRs). The designs are Russia’s VVER1200 and China’s CAP1000 and Hualong-1.